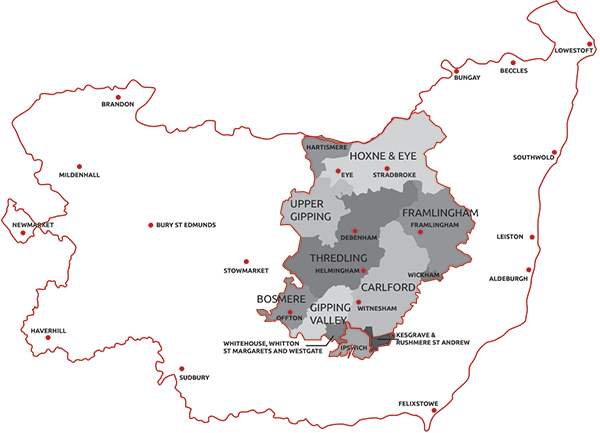 The parliamentary constituency of Central Suffolk & North Ipswich (CSNI) spans much of rural Central Suffolk but includes parts of urban North Ipswich. The last County elections were in May 2017. 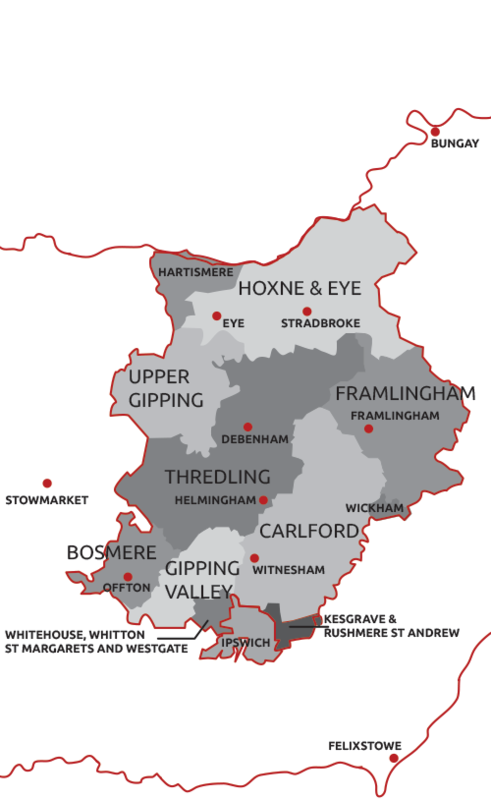 The divisions within our constituency are Bosmere, Carlford, Framlingham, Gipping Valley, Hartismere, Hoxne and Eye, Kesgrave and Rushmere St Andrew, Thredling, Upper Gipping, Whitton and Whitehouse, and Wickham. The 15 Labour Suffolk County Councillors have been led by Sandy Martin, now MP for Ipswich. Please contact us if you have areas of concern you would like the Labour County Councillors to address.